Should I feed my baby organic food? Are there safe and effective medicinal uses for marijuana? Does the stress that I feel at work and at home affect my health? How can I exercise without going to the gym? We'll address these questions and more in this year's Community Health Forum series, sponsored by the Stephenson County Health Department and FHN. Each month, a subject-matter expert will present the latest research on a contemporary health issue and suggest practical ways to decrease your risk of illness and improve your health and the health of the community. The audience is encouraged to participate in each program, and there will be ample time for discussion. All programs are free to attend and will begin at 5:30 p.m. at the Freeport Public Library, 100 E. Douglas Street in Freeport. Light refreshments will be served and no reservations are required. What's Safe to Eat These Days? Are organic foods healthier than conventionally produced foods? Are genetically modified foods (GMOs) bad for us? What are the benefits of raw food diets for people and pets? Are there antibiotics and hormones in our food? These are just some of the questions and concerns Dr. Jack Herrmann will address, using the best evidence from current research. How can the stress that everyone feels going about our daily activities affect our health? How is stress related to sleep disturbances, obesity and type II diabetes? Dr. Jack Herrmann will present the latest research on how stress affects our health and will talk about effective strategies to mitigate the effects of stress. Are obesity and a sedentary lifestyle associated with an increase in cancer rates among people of all ages? What explains the increase in cancer rates among the “Millennial Generation”? What can we do to minimize our risk of developing cancer? Dr. Arshad Shaikh will present the latest evidence on the importance of exercise to prevent cancers of various types. Are obesity and a sedentary lifestyle associated with cognitive decline among people of all ages? Why do some people remain mentally sharp well into their 90s and beyond? Does obesity affect children’s academic performance? Dr. Jack Herrmann will present research on how excess weight and lack of exercise can impact mental abilities from childhood through the golden years. Not everyone can afford – or has the time – to work out at a gym every day, but there are many activities you can integrate into your daily routine to help manage appetite and weight while improving fitness. Dr. Lynn Herrmann will discuss her research, and that of others, in this important area. Acute and chronic exposures to man-made chemicals in our environments can result in ailments ranging from endocrine abnormalities and cancers to obesity and reproductive failure. Dr. Jack Herrmann will discuss the latest research and discuss ways to decrease your exposure to potentially harmful chemicals in your daily activities. Addictions are not only associated with drugs and alcohol. The electronic devices and social media we use every day can be just as devastating to our ability to function in personal relationships, at school, and in the workplace. Dr. Raymond Garcia will present the latest evidence on how seemingly innocent everyday activities can impact our lives. Are there proven medical uses for cannabis? Is recreational use worse than alcohol or tobacco? How do state laws comply with federal polices? What is the Illinois Medical Cannabis Pilot Program like? These and many other aspects of the ongoing, and rapidly evolving, debate on the legalities of marijuana will be discussed by Dr. Jack Herrmann. After 25 years in private dairy and companion animal practice, Dr. Herrmann joined the faculty of the University of Illinois College of Veterinary Medicine in 2004 to develop and direct the DVM/MPH (doctor of veterinary medicine/master's degree in public health) joint degree program. 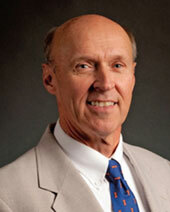 He currently serves as the director of that program and of the Center for One Health Illinois. He is a Clinical Associate Professor at the College of Veterinary Medicine and Division Affiliate Professor at the College of Medicine and School of Public Health. Dr. Herrmann has extensive experience working in public health and health policy at local, state and national levels, holds an MPH degree in health policy and epidemiology, and is board-certified by the American College of Theriogenologists. From 2003-2004, he served as a Science and Technology Policy Fellow in the US Senate offices of Sen. Richard Durbin (D-IL). Dr. Herrmann has received numerous awards for his work in policy and education, including the prestigious Silver Circle award for excellence in teaching from the University of Illinois in 2016 and the School of Public Health Alumni Achievement Award in 2019. Dr. Herrmann currently serves on the State Board of Health for the State of Illinois. His research interests include the epidemiology of infectious diseases, science-based public policy, and innovative pedagogical techniques. 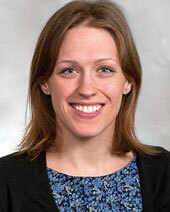 Dr. Herrmann has a PhD in community health - health behavior with a kinesiology focus. She also has a MPH with a health promotion concentration. As an associate professor at Northern Illinois University, she researches the social aspects of exercise and promotion of active living. She also teaches health promotion courses. Dr. Herrmann is an American Council on Exercise-certified Group Fitness Instructor and Health Coach. She is also a master trainer for BOSU® and a subject matter expert for the American Council on Exercise. 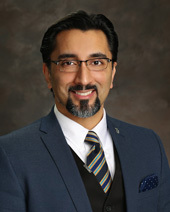 Board-certified in medical oncology, hematology, and internal medicine, Dr. Shaikh has been caring for patients at the Leonard C. Ferguson Cancer Center at FHN Memorial Hospital for more than a decade. He holds a medical degree from Ross University School of Medicine in North Brunswick, NJ and completed a fellowship in hematology and medical oncology at Nassau University Medical Center in East Meadow, NY. He is a member of the American Medical Association and of the American Society of Clinical Oncology. 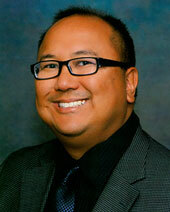 Dr. Garcia oversees clinical treatment and care at the Rosecrance Harrison Adult Campus. He is board-certified in psychiatry and neurology, licensed in Illinois, a member of Illinois Psychiatric Society and a fellow of the American Psychiatric Association. Dr. Garcia is also a board-certified Addictionologist by the American Board of Addiction Medicine, ABAM. Dr. Garcia is on faculty at the University of Illinois College of Medicine at Rockford, where he has received the Golden Apple, Mentor of the Year, and Distinguished Teaching Awards. He joined Rosecrance in 2009.